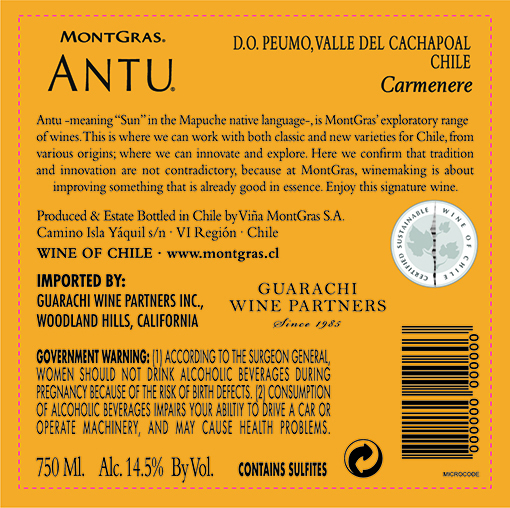 ANTU, means “Sun” in the Mapuche native language, and this is the new exploratory range of wines at MontGras, where the identity and characteristics of the terroir transfers to each bottle. AGING: The wine was 100% barrel-aged for 14 months in 85% French and 15%American oak – 33% new. This wine is a deep ruby-red colour. The nose reveals aromas of ripe blackberries, plums and a hint of spice, all framed by an elegant touch of cedar from the well-integrated oak-ageing. 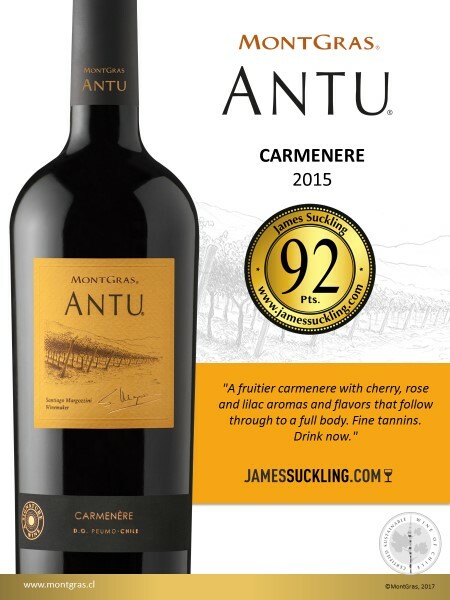 Mature and juicy in the mouth, it has subtle notes that give character to this classic Carmenere. 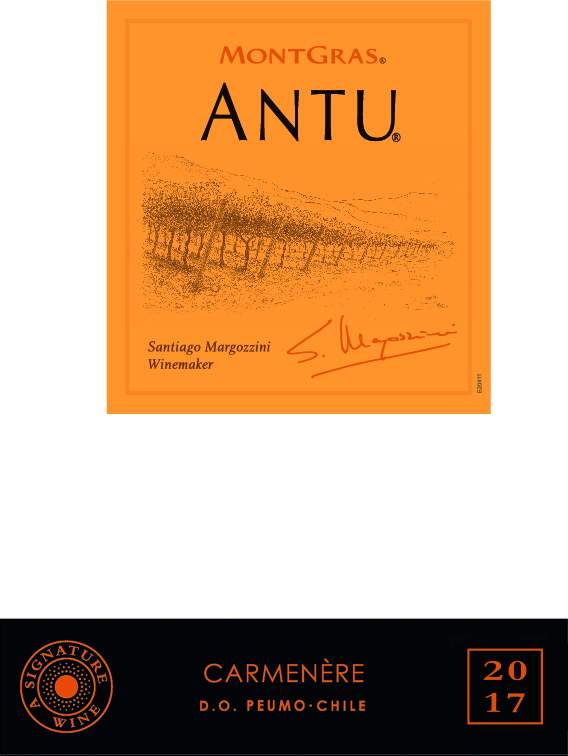 Mature tannins give it structure and texture for a persistent finish. This wine pairs well with a wide range of food, including pasta dishes, red meat, sweet and sour dishes, curry, risotto, chicken and even fish such as tuna and salmon.